Jurgen Klopp could be granted the strongest squad he has had at his disposal all season when Liverpool host Southampton on Saturday. Recurring injuries have proven to be a real nuisance for the Reds boss, who has been left with fresh selection dilemmas most weeks. Klopp is now, however, seeing his cohort come together again at an ideal time ahead of a gruelling winter period. Sadio Mane is expected to be fit to start this weekend, following fears that he had triggered a past issue whilst on international duty with Senegal, reports the Liverpool Echo. Mane recently returned from a hamstring injury earlier than expected to feature and star in Liverpool’s 4-1 win over West Ham. 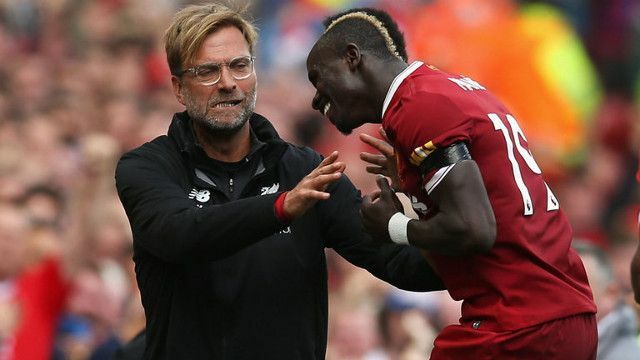 There were concerns during midweek that the winger had re-aggravated that problem during Senegal’s 2-0 win over South Africa- which saw Mane’s nation qualify for the 2018 World Cup. His availability could see Klopp start a quartet of Mane, Roberto Firmino, Mohamed Salah and Philippe Coutinho for the first time in the league this season. That said, the influx of returning players promises to be responsible for a new selection conundrum, with Alex Oxlade-Chamberlain in the running for another start after impressing at the London Stadium. Adam Lallana’s return to training following three months on the sidelines also gives Klopp a welcomed tactical decision.